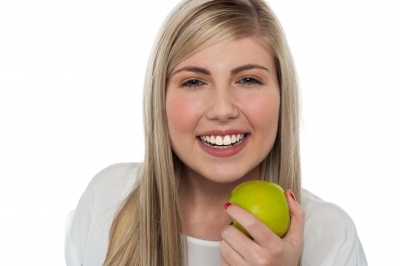 Teeth whitening treatment is easily the most requested cosmetic dental procedure in Australia. If done properly under the supervision of an expert dentist, standard teeth whitening treatment poses minimal risk. 0But like most good things, there are people who, for some reason, figured that if a little teeth whitening works, then a lot of the same treatment must be better. It is not rare for people who undergo teeth whitening treatments to experience teeth sensitivity and gum irritation for a couple of days. This is normal. However, for people who whiten their teeth more frequently that necessary, these unwanted side effects become either a prolonged or permanent experience. Prolonged exposure to potent teeth whitening formula results to dentin hypersensitivity, dental discoloration, and severe blistering of oral tissues. Responsible teeth whitening starts when you seek to consult with a professional dentist about the available dental whitening options. Teeth whitening requires no less than a professional dental consultation before treatment actually begins. As compared to teeth whitening treatments that are carried out inside beauty salons and day spas, teeth whitening treatment overseen by a dental professional comes with a comprehensive assessment on whether or not your gums can actually tolerate the procedure. Not all teeth stains are the same. There are many variables that factor in when it comes to different kinds of dental stains. Case in point, your boss may have yellow teeth, your nephew may have greyish pearly whites, and your next door neighbour maybe sporting teeth that are mottled with white and brown spots. While all of these are virtually different kinds of teeth stains, all can easily be transformed with professional teeth whitening treatment. Intrinsic staining is a dental discoloration that take place from inside the tooth and manifest on the outside surface. Intrinsic staining usually results from dental trauma, among the most common of which include — dental pulp damage, excessive fluoride consumption during tooth development, and excessive exposure to tetracylene during tooth development. Intrinsic teeth staining usually varies from mottled chalky stains to overall greyish and brownish tooth discoloration.